On June 28, the US Fish and Wildlife Service (USFWS) announced a proposal that would devastate the world’s only population of wild red wolves, now reduced to fewer than 30 individuals. The proposal seeks to shrink the red wolf recovery area by 90 percent, to land within the Alligator River National Wildlife Refuge and the adjacent Dare County Bombing Range–land that has the capacity to support fewer than 15 wolves. It would also allow any wolves who left this restricted area and ventured onto private or state lands to be shot without consequence. The red wolf recovery program was once a model of success. By 2006, an estimated 130-150 wolves roamed the five-county recovery area. These naturally reclusive animals threatened neither humans nor livestock. Rather, they preyed on animals such as the nutria–which the state has spent millions to eradicate–while keeping the coyote population in check. Despite this early success, the agency has chosen not only to ignore the recommendations of expert biologists and abandon the red wolf recovery program, but also to sanction the slaughter of these endangered animals. Please contact the USFWS and let it know that you oppose the agency’s proposed rule change that would (1) limit red wolves to the Alligator River National Wildlife Refuge and the Dare County Bombing Range and (2) allow wolves who stray from this restricted area to be killed. 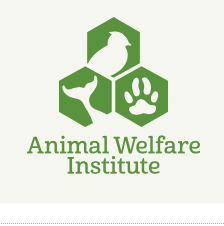 (Note: When you submit comments through AWI’s website, your name and comments will be publicly viewable on the official comment page at Regulations.gov.) You may also submit your comments directly at https://www.regulations.gov/comment?D=FWS-R4-ES-2018-0035-0001. Comments must be submitted by July 30. Be sure to share our “Dear Humanitarian” eAlert with family, friends and co-workers, and encourage them to submit comments as well. As always, thank you very much for your dedication to protecting animals! The reintroduction of red wolves into eastern North Carolina was a monumental step forward for the recovery of Canis rufus but now Federal Lands in Dare County Cannot Alone Support A Viable Wild Red Wolf Population. With 30 or fewer individuals left in the NC NEP, the red wolf is perilously close to extinction in the wild, regular reintroductions of Individuals into the Wild Population are Essential to Red Wolf Recovery. In addition to boosting the overall numbers of red wolves in the NC NEP, another essential component of management involves the renewal of efforts to prevent the interbreeding of red wolves and coyotes; efforts which have faltered since 2014. The Renewal of Efforts to Curtail Hybridization between Red Wolves and Coyotes is Essential to Red Wolf Recovery. Because anthropogenic mortality – including mortality resulting from gunshots wounds, poisoning, trapping, and vehicle strikes – is the primary cause of death for wolves in the NC NEP, enhancement of Law Enforcement Efforts is Essential to Red Wolf Recovery. In order to ensure that recovery efforts are successful, monitoring of All “Take” of Red Wolves is Essential to Red Wolf Recovery. In order to reduce the poaching of red wolves and pursue the success of the program, enhanced Outreach to Local Residents is Essential to the Success of the NC NEP. Although the red wolf reintroduction program was initially successful, more Reintroduced Populations Are Essential For Red Wolf Recovery. 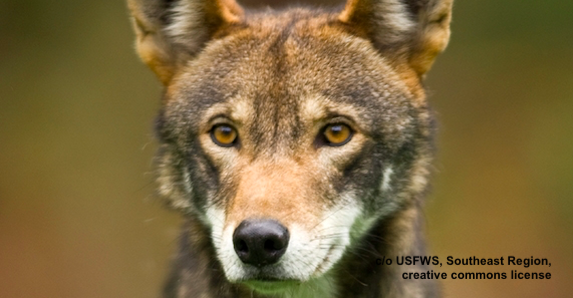 Red Wolves Are a Listable Entity under The Endangered Species Act, and we support the Service’s decision to continue to recognize the red wolf as a listable entity.